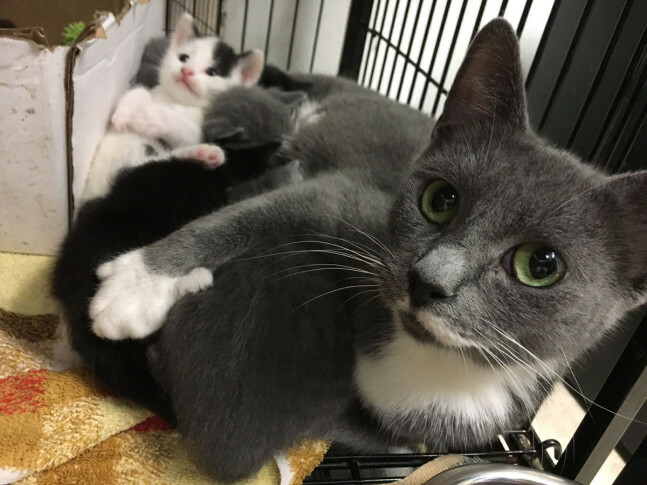 Dozens of cats and kittens that were left at the doorstep of a Greenbelt, Maryland, shelter in boxes and plastic crates have almost all been adopted or placed with rescue groups. GREENBELT, Maryland — Remember those kittens and cats dumped outside the Greenbelt Animal Shelter a few weeks ago? It turns out there’s some good news: Shelter officials say the 28 cats that were left at the shelter’s doorstep in boxes and plastic crates have almost all been adopted or placed with rescue groups. The only ones that have not been scooped up yet are a small mother and her litter that she delivered shortly before being left at the shelter. So for now, she and her five kittens are resting. In about four weeks, they’ll all be ready for adoption. Celia Craze, director of the department of planning and community development in Greenbelt, says not only did all the available abandoned cats and kittens find new homes, but some cats that had been waiting to be adopted before the new arrivals showed up were placed as well. Donations to the shelter also have increased. Craze says thanks in part to WTOP’s coverage, many cats now have happy forever homes.